Tandem Skydiving is where you jump attached to a highly experienced instructor who controls the 30 second freefall, parachute opening and landing. 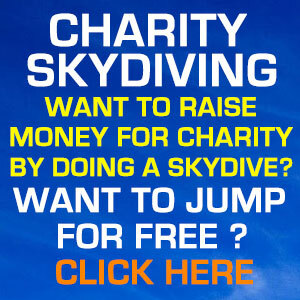 Tandem skydiving is a training method using a dual-harness system with you as the student. The jump will provide a freefall and flight on a high performance parachute, all controlled by your instructor. In addition, we can also arrange for one of our experts to video your jump to give you a personal and permanent record of this amazing experience. 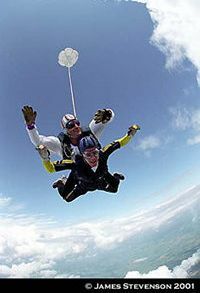 The minimum age for all parachute jumps is 16 years . Persons under 18 years require the consent of their parent or guardian on a form provided by us. All participants must be physically fit and able to demonstrate the same level of fitness needed to carry out a solo static line jump. The only exception to this is blindness. 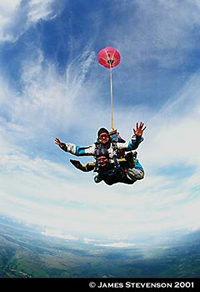 The maximum age for any person with no previous parachuting experience, to do a tandem skydive is 60 years. Medical conditions which may lead to a dangerous situation include, but are not limited to, epilepsy, fits, severe head injury, recurrent blackouts or giddiness, disease of the brain or nervous system, high blood pressure, heart or lung disease, recurrent weakness or dislocation of any limb, diabetes, mental illness, drug or alcohol addiction. This list is not exhaustive and if you have any medical condition which causes you doubts about your suitability to parachute safely then please contact the Chief Instructor. To do a solo jump your eyesight (with or without glasses or contact lenses) must be adequate to read a car number plate at 25 yards. The requirements for a tandem jump are less strict. 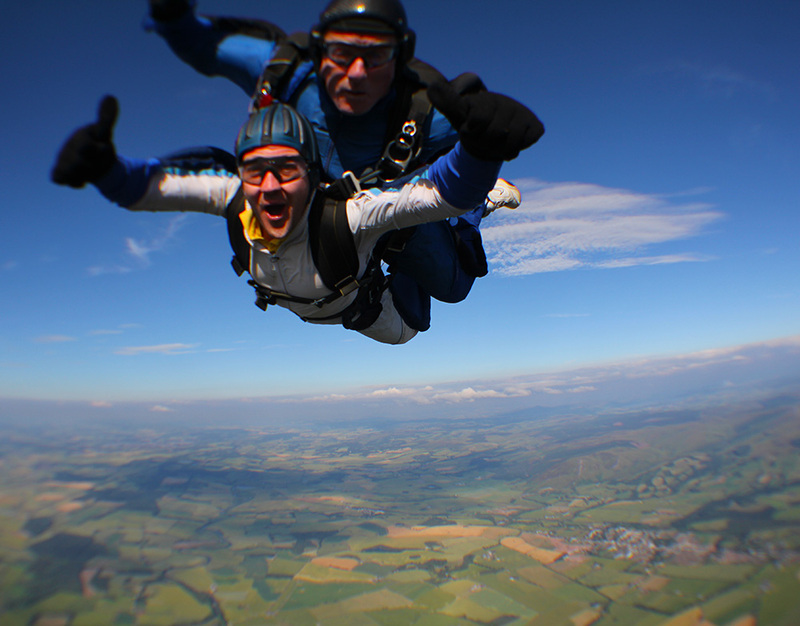 PLEASE NOTE: The maximum weight limit for a Tandem Skydive is normally 210 lbs/15 stone/95kg. You should bring clothing for participating in a physical sport. A tracksuit or jogging suit is suitable. Warm clothing is essential in winter and can include gloves. Footwear should consist of a pair of stout rubber soled boots or jogging type training shoe / boot. You should also bring loads of enthusiasm. You can not take any type of camera or recording device with you on the jump.